Japan has approved a US military airbase’s relocation on its southern island of Okinawa, officials said. The governor, Hirokazu Nakaima, agreed to landfill work to develop a new base in a less densely populated part of the island, officials said. The agreement is a breakthrough following years of deadlock over where a new US base should be placed. The US has around 26,000 troops on Okinawa under a long-standing security alliance with Japan. However, the bases are unpopular locally and there is growing pressure from residents for the US military footprint to be reduced. The US Futenma airbase will now be relocated to a new site near Nago, a less densely populated area in the North of the island. The move comes after years of negotiations. In 1996, Japan and the US agreed to close the Futenma airbase. However, Okinawa’s local government had been opposed to building a new base on the coast. 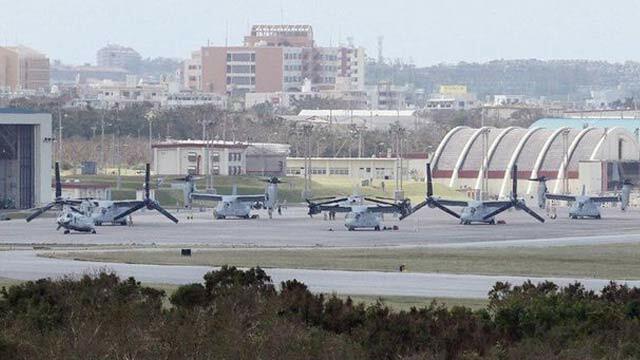 Some critics have demanded that the US airbase move out of Okinawa prefecture completely and the decision has already prompted furious reactions. “What the governor has done is unforgivable,” Yuichi Higa, head of the assembly in Nago, where the new base is to be built, is quoted as saying by the Associated Press news agency. “Residents who are opposed will surely resort to the use of force, such as blocking roads to stop this from happening,” he adds. The decision is politically difficult for Hirokazu Nakaima who was re-elected in 2010 opposing the relocation of the base on Okinawa. Hirokazu Nakaima’s decision came after Japan’s PM Shinzo Abe met him on Wednesday to urge him to agree to a new base. Shinzo Abe pledged an economic stimulus package to Okinawa every year until 2021. There has been a US military presence on Okinawa since the Americans invaded the island during World War II.